When I first started homeschooling I dreamed of having a dedicated homeschool room. I imagined all the fun and learning that would take place in our little school room each morning. Then reality set in and I realized that I live in a tiny apartment with no extra space and I needed to figure out a way to make do! A few organization pieces go a long way to making everything feel more organized and less cluttered. I sat at the kitchen table, pencil tapping my teacher’s guide impatiently. Knowing that the reading lesson I was attempting to teach was only a fraction of the way finished and that we still had Math, History and Science to complete, this mama was getting antsy. My son, full of life and joy was elaborately illustrating his every written response. Yes, his letters were going ‘fishing’. As the mom of 7 kids with dyslexia, the fact that he knew his letters and was able to write them was the hope that kept me going; waiting quietly as he shared the silly story of ‘J’s fishing success. And so here we are. School has started and reality has set in. Homeschooling sure looks different mid-summer while absolutely no school is being done and we’re casually reading colorful catalogues detailing curriculum that will practically teach your kids themselves. Ah, yes, peaceful, sunny July afternoons spent at the beach with memories of crumby floors and crabby attitudes far behind. Sitting here across from my joyful – yet painfully slow – second grader caused me to dig deep into my reserves of homeschool truth to bring myself to remain calm and committed. Here is some homeschool truth for you, Mama. Slow and steady does in fact win the race. A little learning every day adds up to a lot of learning over time. Your faithfulness to do what you can will be rewarded. Do what you can, do it well and don’t fret about what didn’t get done. I know that for me as the productive type, I like to get stuff done. I like to check off the boxes so I can coast for a bit. Get child reading – check. 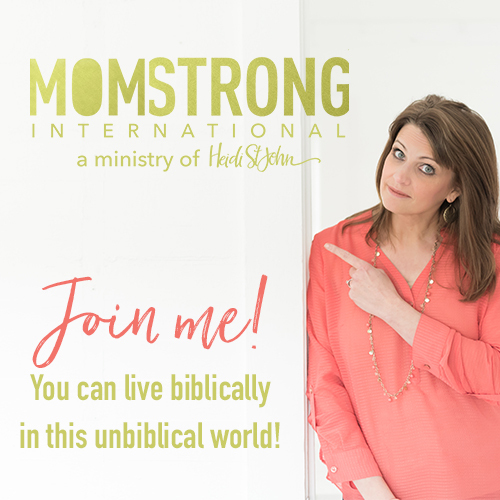 Instill a Biblical worldview – check. As if these things don’t take years of daily instruction, testing and trying to really do well. I am teaching myself to let go of the notion of finishing. Not only is the notion that I can finish parenting, schooling, or cleaning and then coast for some extended period of time absurd as a mom of 8, it is flawed for several reasons. My work as a wife and mother will never be finished (and likely, at least for some time, my home will never be entirely clean). Jesus calls me to be about the business of blessing others with my talents. If not my family, as it is now with my full house, then for others in need. God has blessed me with gifts so that I can give them away to others. That is not something that ends when the kids turn 18 and are finally independent or when I turn 65 and can officially retire. Just as God has stripped me from worshiping many of my previous homeschool idols; having well-behaved kids (at the expense of having clean hearts) or of owning the best curriculum or of volunteering for every important looking job or of having kids get into the ‘best’ colleges; God is stripping me from the idol of finishing it all so I can rest. Lord, when will I ever just stop thinking so much of me?! Please, don’t get me wrong, there is much gain in finding balance in your days. However, I am learning to enjoy (and at times patiently endure) my days however they unfold. When the phonics lesson is over and my young guy heads outside to fashion himself a fishing rod, math lessons can wait. My list of homeschool tasks can wait because life and school is so much more. Slow down and enjoy the moments. Believe me, silly fishing stories during phonics instruction, though somewhat painful for busy homeschool moms, will be preferable to the seriousness of the day that you are helping that same boy as a high schooler to analyze expressions of love found in Shakespeare. Take it from me, if your day is waxing long and the to-do list is largely untouched, it will be okay. Do what you can, do it well, and trust the Lord to take care of the rest. I’m trying to answer some questions I get asked as I get to visit with moms around the country. Last week I answered the question, “How do you get it all done?” in this post. Today, I’ll pull back the curtain on how I choose curriculum for our kids each year. 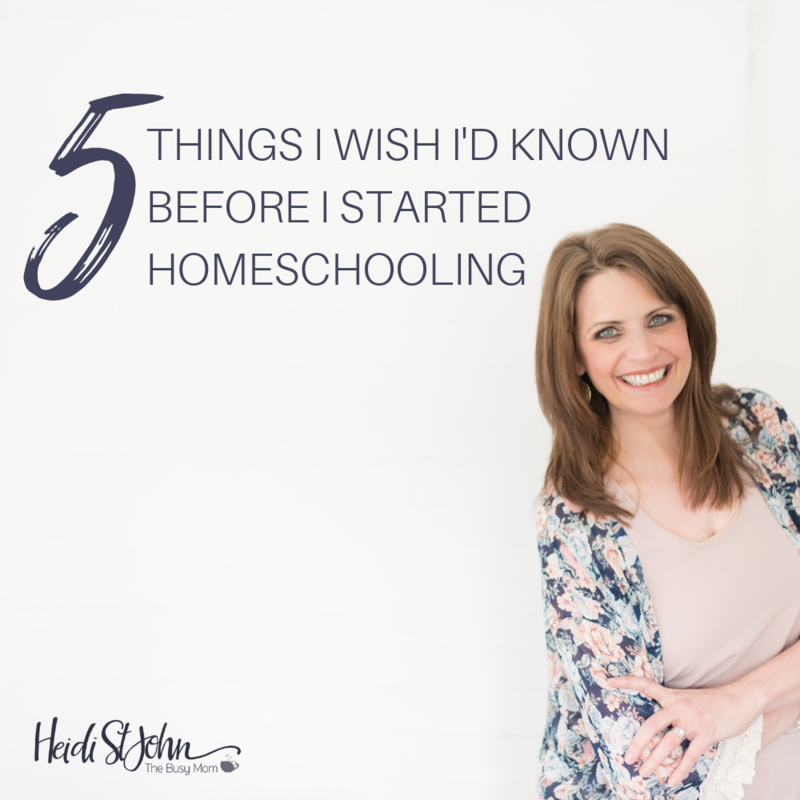 Hopefully after 17 years of homeschooling, I’ve got a few ideas that will help you avoid some of the ditches I stumbled into! Little Tip: Whatever your choose needs to be good for both your child and you. If you don’ t love it, you’ll struggle to teach it. If you have homeschooled for more than five minutes or done even one internet search in your consideration of homeschooling, you know there is a very long list of curricula out there for you to try. It can be overwhelming. It’s easy to spend too much money in a panic to find just the right program. 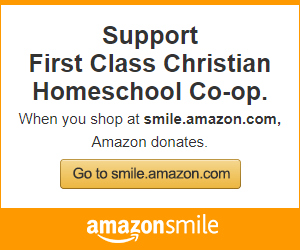 Here’s the thing: a good homeschool education doesn’t have to be expensive. It shouldn’t break the bank, either. Little Tip: Choose curriculum that will compliment your lifestyle, not compete with it. Teach Your Child to Read in 100 Easy Lessons – I’ve used this for years and years and all our children are excellent readers. You don’t need anything but pencil and paper to go with this book. I’d suggest doing the writing assignments that go with each lesson. Don’t spend too much time on any lesson in this book. No more than 30 minutes including writing time. Bob Books for Early Readers – Bob books are our favorite transition from 100 Easy Lessons. We try and do one booklet each day and write a little, too. We’ve tried every math program out there. I hesitate to tell you which one we landed on but I do love Teaching Textbooks for grades 7 and up. I also love a little handheld math quizzer called “Flash Master.” It does all the basic math facts in several different formats. We’ve had ours for years and it was well worth the investment. Life of Fred has literally made our eight year old enjoy math. ‘nuf said. 3-8th grade: I love the Apologia Young Explorer series. You can use them in so many ways and they read like a great story. And yes, I’ve used them with several of our kids through the 8th grade. We simply give more challenging assignments as they get older. *note: I have a friend who has homeschooled her kids forever w/out picking up a formal science book until they were in high school. Of her three kids, one is a doctor, one an attorney and one a teacher. They did just fine. For grades 3 and up, you can’t beat YWAM Christian Heroes Series. They are my favorite tool for teaching geography, history and social studies. One six dollar book not only gives your kids a window into another culture, but teaches them about people who followed God in the most incredible ways. I love them! Five in a Row takes wonderful children’s literature and makes a unit study out of it. It’s brilliantly written, inexpensive and easy to use for preschoolers through about 6th grade. If you love learning with your children while you snuggle up on the couch, this is for you! Pocketful of Pinecones by Karen Andreola is a great reminder of what education can look like. She also wrote A Charlotte Mason Companion which I loved. I suppose I could go on and on about this, so if you have a specific question please let me know. I’d love to hear what’s working for you. 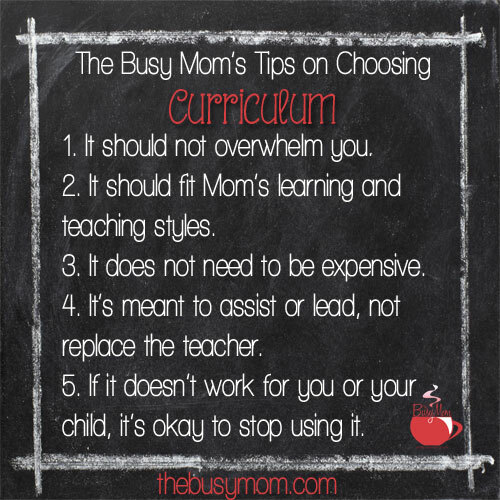 At the end of the day and regardless of what curricula you land on, keep in mind that the curriculum is there to help you, not to take over for you. You are the teacher—and you can do it! No curriculum can be a substitute for God’s gentle leadership in your homeschool. You can do this, busy mom! Enjoy your kids! My daughter sat, if you can call it that, splayed wildly across two chairs and chatted light-heartedly about some birds she had seen outside her window that morning. Exasperated, I realized that she had barely made a dent in her assignment. Hands up if this is going on in your home? My daughter is not generally a willful or disobedient child. She is, however, a kinesthetic learner who really does need to move in order to learn well. Moving while she does her schoolwork helps her to think and remember. These days, now that I understand the impact of different learning styles, you will find her doing her schoolwork sitting atop a large fitness ball bouncing in a crazy fashion, and finishing her work in record time. 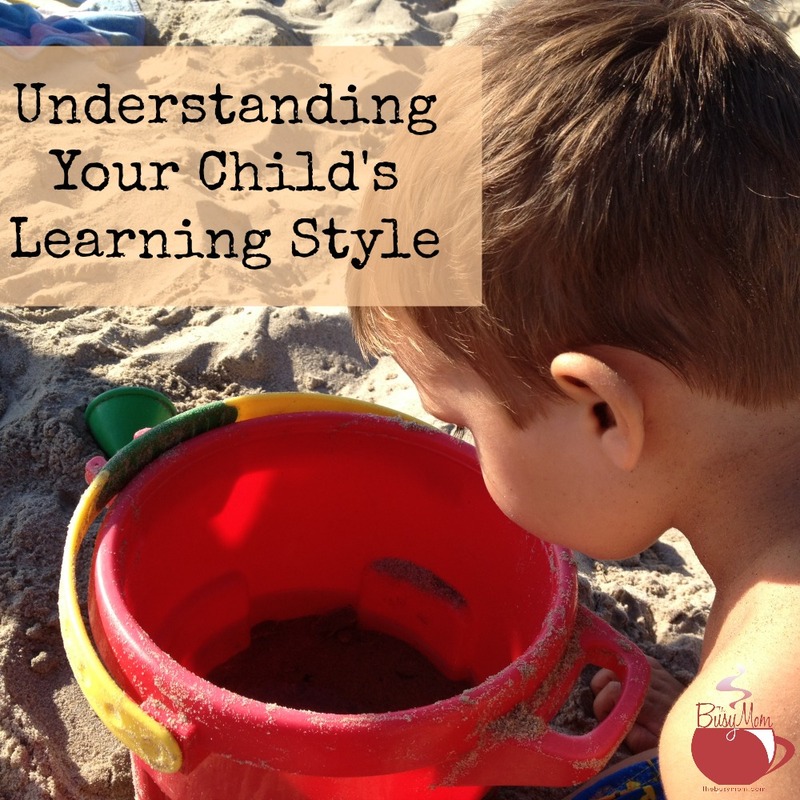 I never gave learning styles much thought until I began homeschooling my kids. I thrived in the traditional school environment (as do many teachers). Then I began to teach my dyslexic kids and my eyes were opened to a world of learning differences that I never knew existed. A learning style simply refers to the way a person learns best. Everyone has a mix of learning styles, utilizing all of the senses, however many people find that they have a dominant style of learning. There is no right or wrong learning style – just different. Traditional schooling tends to focus primarily on reading and writing (a predominantly linguistic or verbal learning style) to gain and assess the acquisition of knowledge. The result has been that students who have other learning style strengths tend to do poorly with these methods, earn poor grades and bad reputations for being less bright than other kids. This has been true in my life. I found growing up that I was very good at memorizing random information for tests. I could visualize the words on paper and during a test, could choose the best answer based on this picture in my head. However, I was quick to forget this information after the test and rarely acquired a good understanding of the subject. My dyslexic husband, on the other hand, did poorly in school, yet has a much better understanding of the flow of history and science than I, having weak memorization skills but strong skill in logic. By recognizing and understanding our own learning styles, we can use techniques better suited to our unique families. This has the added benefit of improving the speed and quality of learning. Visual (spatial): You prefer using pictures, images, and spatial understanding. 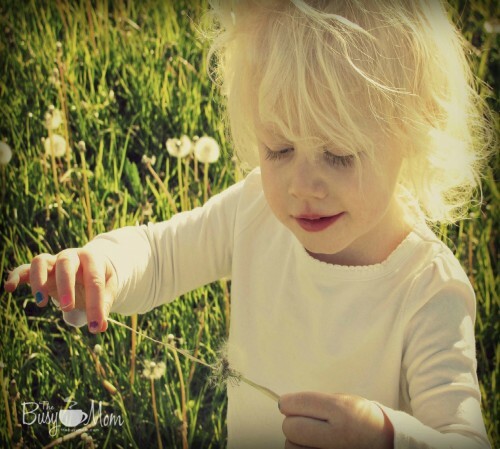 Try using images, pictures, color and other visual media to help your kids learn. Aural (auditory-musical): You prefer using sound and music. Try using sound, rhyme and music in your learning. Verbal (linguistic): You prefer using words, both in speech and writing. Try to find ways to incorporate more speaking and writing in your teaching. Physical (kinesthetic): You prefer using your body, hands and sense of touch. Try using touch, action, movement and hands-on work in your learning. Logical (mathematical): You prefer using logic, reasoning and systems. Teach the detail behind behind concepts being taught as opposed to mere rote learning. Social (interpersonal): You prefer to learn in groups or with other people. Try working on lessons as a group, find a study group and use role-playing concepts you are trying to learn. Research has actually shown that each learning pathway uses different parts of the brain. By involving more of the brain during learning, it is easier to remember what is being taught. This is often referred to as multi-sensory teaching. If you are experiencing difficulties in your homeschool, you may want to go online and take one of the many free learning style assessments available. And don’t forget to test your own learning style. Sometimes our learning style as the teacher does not appeal to the learning style of our kids. Understanding learning styles will help you to think outside the box and find a method that works for both of you! Roadblocks in homeschooling are often an indicator that it is time to change things. If your kids are struggling with their homeschooling, maybe it is time you considered the learning styles of you and your children. Even though we have eight children and are in our 18th year of homeschooling, the thought of writing a blog about it terrifies me. You would think after this many years, I would be some sort of professional. The truth is, I am easily overwhelmed by the scads of information and choices there are now. Everything from method to curriculum. If I were young again and just starting out or thinking about homeschooling, I’m pretty sure you would find me in a corner somewhere in the fetal position, sucking my thumb! If you are thinking about homeschooling or just starting out, I encourage you to KEEP THINGS SIMPLE. Don’t overwhelm yourself with information, but pray diligently for God’s leading in schooling your kids. He knows them better than you do, and He will be faithful to show you what’s best for them. Ask God to BRING to you what HE wants for your family. Don’t spend time comparing yourself to others. Your family is unique and has it’s own “culture”. 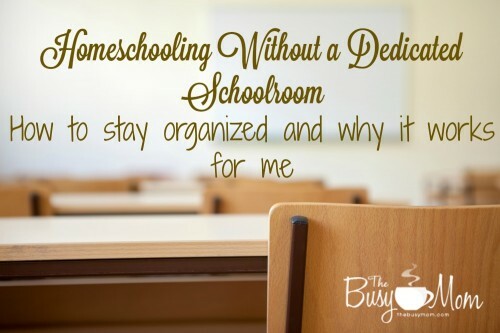 The beauty of home schooling is that we can customize our learning to fit our family’s lifestyle. That means we are NOT modeling the public school classroom. It is important to nurture your children’s love of learning and that means, especially when they are young, we follow their lead and interests as much as possible. Especially with boys, there often seems to be a need to wait longer to start any formal schooling. It’s a delicate line to walk of encouraging, but not pushing. We have tried to do this so as to foster their love of learning. What has happened at our house is, about age 12-14, instead of being burnt out on learning, they suddenly start to “own” their education. They realize how much they are capable of learning, how many things they are interested in and begin to pursue accordingly, on their own. We have also taught our children to be resourceful: to know how to find out what it is they want to know. My thought has always been that if you nurture their love for learning and teach them to be resourceful, they will be able to do whatever they decide they want to do! When our kids were little, I had a need to be able to tangibly see their progress, so I used some workbooks, but kept them to a minimum. To learn reading, we started out with Teach Your Child to Read in 100 Easy Lessons . This book teaches to read phonetically and is broken up into short, easy lessons. It is simple enough for your older, reading children to use in teaching the youngers, which is very helpful if you have several children. When the kids were reading somewhat well and able to write their letters, I would start them in an age appropriate math and language book. The plan was to do a couple pages in each book every morning, but with so many little ones, much of the time we were doing well to get 3 days a week done. My goal is to be as consistent as is humanly possible. But life happens and I am not consistent if we have too much on our plate. We keep our school plan simple so that we have flexibility to let the kids follow some interests on their own. What that looks like for us through the elementary years is to try to make sure that we do the basics each day: math and language arts (including reading, writing, etc). Science and history are something our kids, at this age, explore on their own. I try to listen for the things they seem interested in and have good books around for them to read. We can waste a lot of time at the library trying to find appropriate books, so a good book list resource is important. One of my favorite book lists is, “Read for the Heart: Whole Books for WholeHearted Families ” by Sarah Clarkson. The books listed are not “twaddle”, but meaningful books, with good illustrations and listed by subject and age appropriateness. When they get into jr. high, we start to be more intentional in adding science and/or history to the basic mix. Sometimes it works well to combine two subjects. For instance, right now, two of our boys are choosing a time period that they study (with resources they find) and take notes on for 2 weeks. Then they write a report about all that they learned and turn it in to me. By doing this, they cover history, reading, writing (sentence structure, spelling, punctuation, taking good notes, grammar) and meeting a deadline. This plan worked well for all of our children…except the last one. He has had some learning issues and, in his case, it was important to get an earlier start. Dyslexia, dysgraphia, etc. require early intervention, so if you are suspect that your child might have some learning issues, make sure you get a diagnosis sooner rather than later. The truth is that our kids will remember more from our example than from what we say. All the practicalities aside, what is our goal? Don’t we want to raise children who love the Lord and carry out His purposes for them? That means that school revolves around home, not home around school. I believe the best way to do that is to live life with our kids. Be authentic, be intentional and most of all, be gospel centered, growing right alongside your children. I’ve been homeschooling for 18 years. Where did the time go? It really is a wonder that my children are doing as well as they are when I consider my abilities or rather, disabilities. In all seriousness though, God has taught me so much about what really matters in my homeschool. 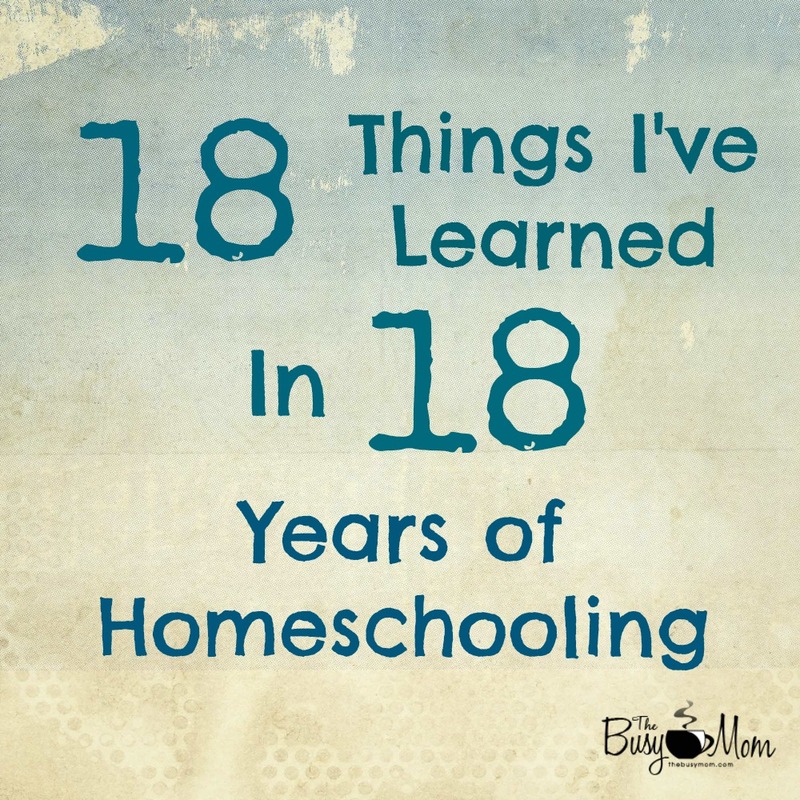 Here are eighteen things I have learned in 18 years of homeschooling. 1. Education is more than academics. As a person who was highly prone to making an idol out of education, this is no small statement. Honestly, you can be the most well-educated, even the most intelligent person and yet lack the character to impact the world for good. 2. Parents are more than qualified to teach their children. In fact, research has shown that motivation is more important than education. Think about it. Who is more motivated to ensure that your child receives the best education possible? A teacher of 30 + kids or a parent? 3. God fills in the gaps. I have seen this over and over again. Sweet mamas, trust Him. He is working all of these chapters in your life for good. Breathe and trust! 4. 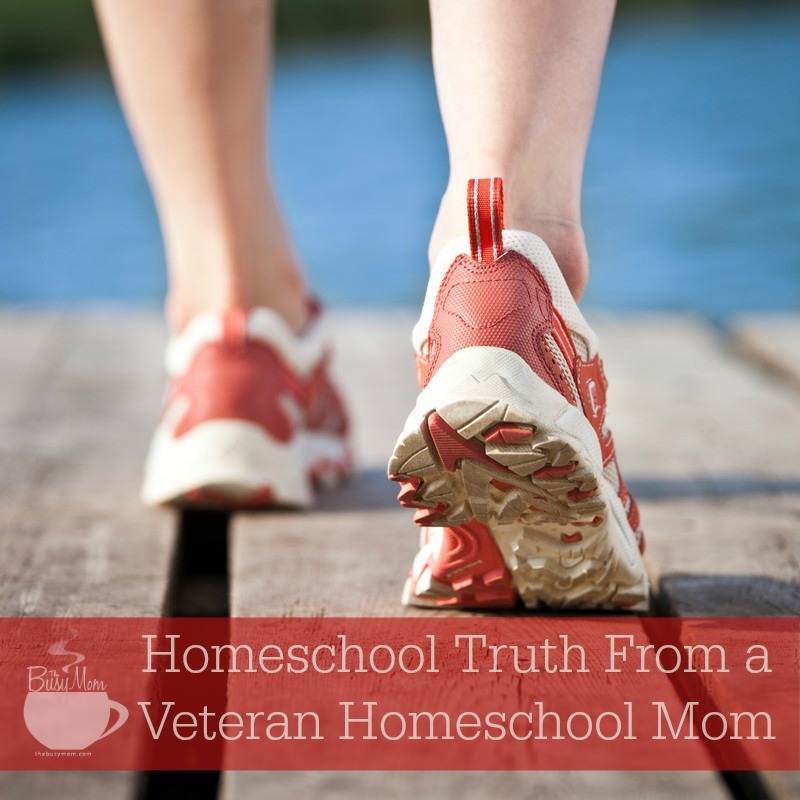 Much can be learned from homeschool parents that have gone before you. Listen, learn and consider other ways of doing things. Don’t be afraid to try new things. 5. Don’t copycat. On the other hand, blindly following isn’t good for anyone. Learn from others and adapt curricula and teaching styles to fit your unique family but don’t copy another family like some algebraic formula. There is no one formula for the perfect homeschool. 6. Just when you think you’ve got this thing…things change. Well, we wouldn’t want to grow complacent or overly self-assured, would we? If something isn’t working, change it. That is what eBay is for, no? Read, learn, pray, grow. If something is clearly not working in your homeschool, it is okay to change things up – even before the end of the semester/year. 7. Learning issues aren’t disabilities, they are differences. God makes no mistakes. People who learn differently were made that way by God. “So the Lord said to him, “Who has made man’s mouth? Or who makes the mute, the deaf, the seeing, or the blind? Have not I, the Lord?” Exodus 4:11 Teach to your child’s learning style and keep working on the weaknesses. 8. Character-training is a subject. Make time for it. You’ll be glad you did. 9. Play is a subject for young kids. Kindergarten should take about half an hour. Read, love and play, play, play! 10. Interest-led learning is still learning. Text books are not the only way. Be brave – think outside the box! 11. Prepare for the teen years. Deal with your teens in an understanding way. What were you like when you were that age? A bit of compassion goes a long way. Oh, and the changes of adolescence can begin before the teen years. Be prepared! 14. Observe and point out the impact of world views early and often. Teach your kids discernment. If you don’t know what a world view is, find out! 16. Don’t compare. There is always someone that appears to have it all together. Yet, all of us have some trial or tribulation. God is weaving together your unique story for a great purpose. 17. It is unlikely that you will ever ‘get it all done’. What ever that even is! You may, however, get everything that you can done and that is okay! 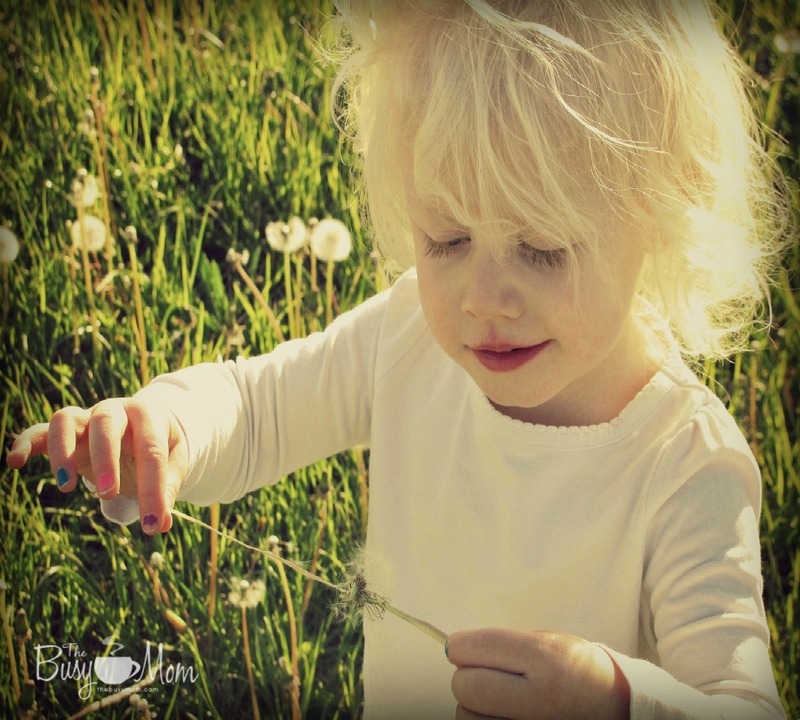 What wisdom have you gained from your homeschooling years? For more homeschool encouragement, visit Marianne at her blog Abundant Life.